VAIL, Colorado – I have a confession. I am an Ani DiFranco fanatic. I have been a serious fan since the first time I heard her music at the age of 16. After falling instantly head over heels, I was given her first two albums and told to share the gospel with others. That’s the way her music spread in the beginning. Before the time of downloading, before ITunes even had a name, we taped every song we found and passed it on. As a longtime Ani fan, I thought I’d share the story of one of the first times she was in the Vail Valley. It was an early ’90s road-trip, the kind that could only happen in your late teens when freedom is fresh and pliable. Ani was a growing phenomenon. She had cast off the record companies and boasted independence from the big guys. She sang about bucking the system, doing things on your own terms, fighting for what you believe in, and of course, about men. For us, Ani was the Phish of feminism, in a time that Tipper Gore was gaining popularity as a role model, we girls needed something real. After driving thousands of miles and attending many Ani shows, we landed in Vail. I was unable to secure a borrowed ID, and was forced to dash through the kitchen to obtain entrance as a 19-year-old patron in the over-21 venue, the now-deceased 8150. Excluding the sports fans at the bar, the place was nearly empty. Moments later, as Ani climbed on stage to play her songs the bar was immersed in the sound of hooting and hollering, though not for her, but in appreciation of the sports game on the TV. She played her set while the celebration continued, and often drowned out the music coming from the little lady on the stage. It was like that a lot in the early days. Ani endured a lot of small crowds and long drives. She started playing in bars when she was nine, emancipated herself at age 15, and within a few years moved to New York City. After some consideration she decided to put out her own album on her own little label. She named it Righteous Babe Records, (originally Righteous Records but she discovered later the name was taken), and made a lot of tapes. She sold them at her shows and people were enamored by her ability to say exactly what they were thinking, but a in a poetic, go-for-the-throat sort of way. So when she started off across the county, there were already a certain number of lucky people that knew all about her. She has toured nearly non-stop since, and I’m a little embarrassed to say that I have seen her in concert more than 30 times, and it’s still my favorite thing to do. After a lifetime in the music business, Ani has achieved fame, but of a slightly different kind. You don’t often hear her songs on the radio, but she has a steady following of die-hards like myself, which she built by touring frequently, and keeping it interesting. She has released more than 20 albums and is known for cute little quips between songs, and using electrical tape and fake nails to pick the hell out of her guitar. She doesn’t perform with pretense, nearly always wears a wife-beater on stage, sometimes even scolds the audience, and always, always puts on a great show. After all, when the day is done, she’s still just a lil’ folk singer. So, now 15 years from when she first set foot in Vail, she has returned. She’s a little older, a little smarter and a lot more popular. She is playing the Vilar Saturday. I am pretty certain this time around she will have your attention. 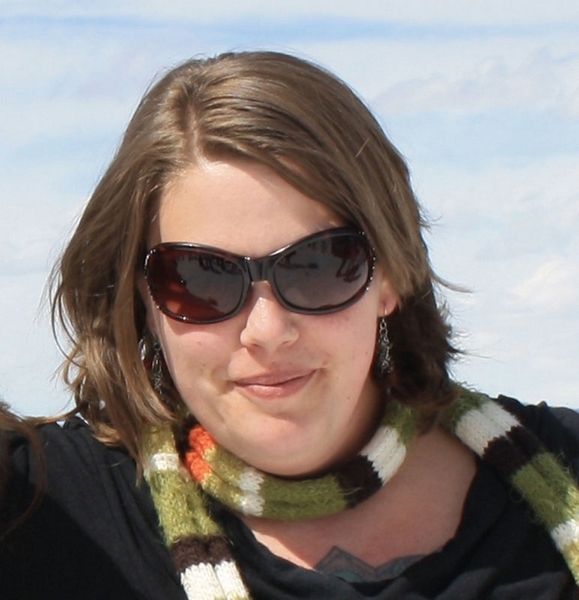 Amanda Jensen works in Vail and resides in Leadville where she lives with her daughter, her fiance, and his dog. She will undoubtedly be in the Vilar Center audience on Saturday night. E-mail comments about this story to cschnell@vaildaily.com.